According to Dr Durham, landslides and snowmelt in the mountainous terrain caused some of the mines to drift to often unknown locations. Locating the minefields is often challenging because many mines were laid decades prior to the advent of accurate geo-referencing technology. 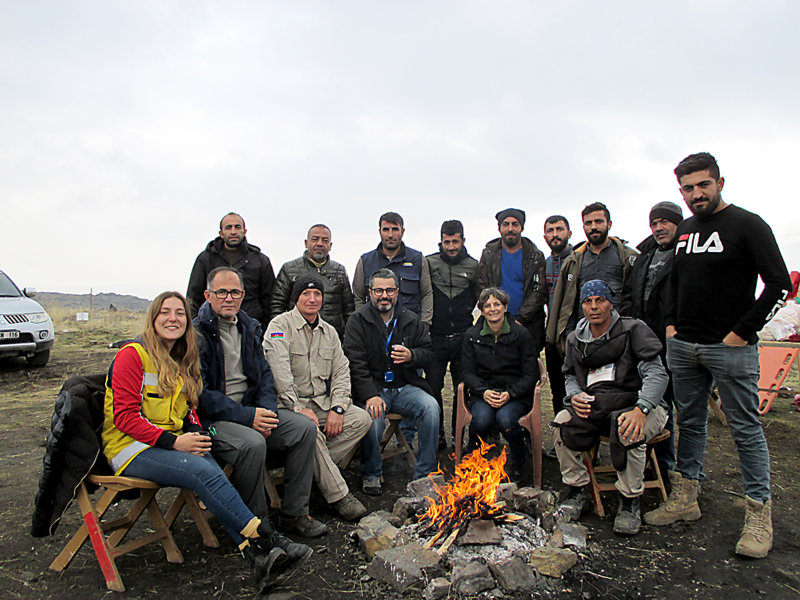 The UN Development Programme (UNDP) has been supporting the Turkish Mine Action Centre (TURMAC) and its partners, to locate and disarm these mines which if left unattended to, pose a significant risk to local people and livestock as well as irregular migrants crossing the border. ‘Linking practice with theory is essential to prepare graduates for different careers within the field, and equip them with the skills needed to continue this necessary work and respond effectively in other disaster scenarios,’ said Dr Durham. If you are likely to be involved in coordinating a response to a major incident or disaster, enrol now to benefit from the real world experience of Dr Durham and others.